Robotic Dispensing applications allow to dispense materials with greater precision and accuracy than traditional solutions. Industrial robots are faster than conventional gluing and sealing systems. 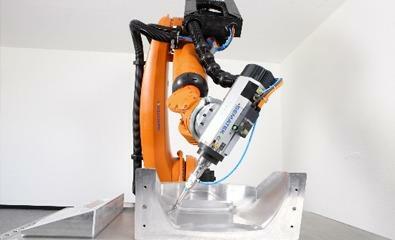 Industrial robots and can provide you the best automation solution. Dispensing robots are applicable in many industries: Pharmaceutical, Automotive, Aerospace, Plastics, Environmental and others. We work with the best well-known dispensing robots: KUKA, FANUC, ABB, Motoman and othres. A human can not dose the same quantity of glue, sealant or any other material. 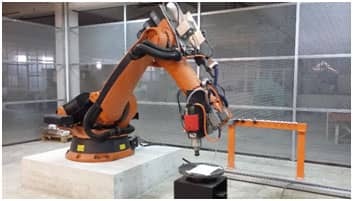 However, industrial robots can maintain consistent at all times. Ensure consistent quality, reduce production costs and optimize your operation. Phoenix can integrate the robot for dispensing operations, we can configure and customise them with end-of-arm-tooling, fixtures and safety enclosures. We help you to evaluate and select the most efficient and cost-effective robotic automation for your application and process.